Sensing Systems maintains a calibration laboratory with NIST traceable standards capable of supporting a wide range of capacities, accuracies, and loading configurations. We perform As Found and As Left calibrations for load cells and torque sensors. In addition, we calibrate systems consisting of sensors and electronics at extremely fast turn around times. 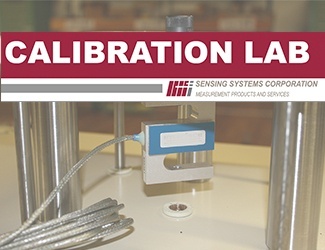 Our force sensor calibration loads cover a wide range of capacities, from a low capacity of 1 gram to a high capacity of 3,000,000 lbs, all with NIST traceability. We can also load and exercise sensors to 5,000,000 lbs without NIST traceability if required. In many applications, extrapolation of calibration results to 3 million pounds can be used for sensors exceeding this capacity. For compression calibrations no fixtures are usually required. For tension calibrations, loading fixtures or thread adapters are typically necessary. Calibration fixtures may be designed and manufactured by Sensing Systems. Our calibration capabilities for torque applications range from 1 lb.in to 30,000 lb.ft (360,000 lb.in). Applications requiring higher calibration torque may be accommodated following design of the loading fixture. 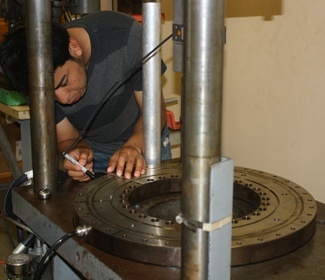 All torque calibrations below 30,000 lb.in are performed using NIST traceable dead weights and loading arms. Calibrations exceeding 30,000 lb.in are performed using fixtures and NIST traceable load cells. In all cases, torque fixtures and loading arm(s) are required to perform the calibration. Fixtures or adapters may be necessary to ensure proper loading. Sensing Systems designs, manufactures, and fabricates all necessary fixtures and adapters. All our standards are traceable to the NIST and have their own accuracy specification. Typical accuracy for the majority of our calibration equipment is 0.05% and 0.02% of full scale capacity. This applies to force and torque calibration standards. Higher standard accuracies may be possible for specific projects and capacities. 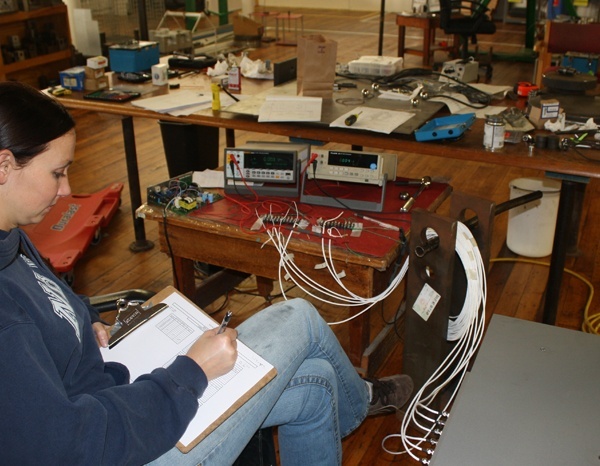 Sensing Systems offers a standard calibration procedure as well as several other options. Our standard calibration procedure (ASTM E4) allows non-linearity, non-repeatability, and hysteresis to be measured. Alternative options include a minimum of one point calibration, customer generated procedures, or other industry standards (ASTM E4 and E74). Our standard procedure includes three exercise runs to 10% above capacity and three calibration runs with a minimum of five acquired data points per run. As Found and As Left calibrations are performed for systems where adjustments may be performed. These systems include sensors and electronics such as digital indicators and voltage and current outputs. The customer provides the acceptance criteria and Sensing Systems adjusts the electronics to meet the requirements. All calibrations are documented using Calibration Certificates. The certificate details the results of the calibration and other information such as calibration standard information, type of sensor calibrated, customer name, wiring information, and calibration due date. The calibration results include the sensor output at capacity and maximum error or accuracy. The maximum error is composed of non-linearity, non-repeatability, and hysterisis and is calculated by comparing the actual data to a best fit linear regression of the data. Other methods for determining accuracy, such as terminal error, may be used upon request. Have a specific question regarding our calibration services? 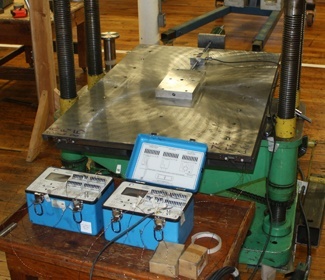 NIST traceable calibration services for load cells, force sensors, and torque sensors. ​All load cells and torque sensors require periodic calibration. Many organizations require periodic certification of sensor performance and operability to meet accuracy requirements. Others require compliance with governmental and/or Quality Control requirements. All industry sectors require accurate measurements of mechanical quantities such as force, load, weight, and torque. One week turnaround time is typical. Depending on urgency, Sensing Systems can calibrate sensors in one day with one day’s notice. Calibration fixtures, if required, must be available or provided with the sensor. Alternatively, Sensing Systems will design and manufacture calibration fixtures if required.